Okay Mom and Dad - who's cooking tonight? Please Note: Gene's Resort will guarantee your reservation with your credit card number. We request that your final payment be made by CASH, traveler's checks, or a personal check. New ATM on premise. If you need to keep your payment on a credit card, we understand, no problems, no extra charges/fees. Thank you for your understanding. 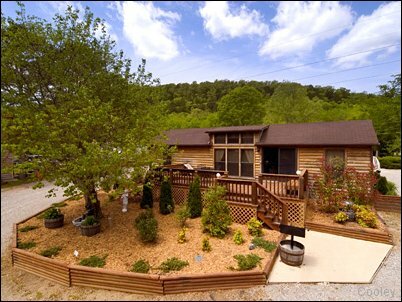 Rent a cabin for 6 Nights, Stay 7th Night FREE !!! Rent a boat/motor for 6 full days, get the 7th day FREE !!! Children 4 years of age and under stay FREE!! 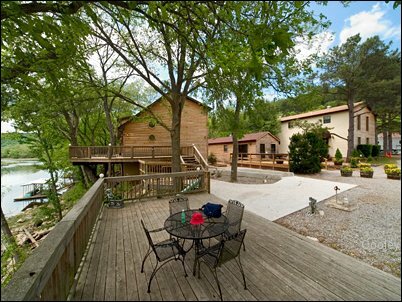 Wireless Internet Access To All Cabins FREE!!! Please Note: March, April, May, June, July, October Riverfront cabin rentals require a three night minimum stay on weekends. (Thursday, Friday, Saturday or Friday, Saturday, Sunday) And all Holidays. * Must have your own motor 8 - 15 HP only. Gene's Trout Resort is now offering Jon Boat rentals. You can rent a bigger wider Jon Boat with motor ranging from 8hp (2 people) OR 9.9hp - 15hp (3-4 people). All boat/motor rentals include mixed fuel, swivel seats applicable for size motor, life preservers, two anchors, two nets, one flotation cushion, and two paddles. Safety Tips: Wear life preservers. NO more than 4 people to a Jon Boat. Do not put anchors in water during swift water movement. Know the river. If you are uncertain how to properly navigate the North Fork River, we strongly recommend hiring an experienced guide. Guided Bait Fishing Trips include experienced guides, boat and motor, fuel, anchors, paddles, life preservers, floatation cushions, and swivel seats. We are the only resort in the area to offer bait (night crawlers/corn) and tackle at no extra charge. Not Included: Fishing Licenses, taxes, gratuity, drinks/lunch. Guided Fly Fishing Trips If your expertise is in fly fishing, Gene's Resort can set you up with a professional fly fishing guide for half or full day trip. The guide will have the appropriate flies for the North Fork River. You are requested to bring your own fly rod and waders. At the end of any guided trout fishing trip, your guide will be glad to clean, (filet if requested) and sack your trout. It's your fishing trip. Bring home great memories. Not Included: Fishing licenses, taxes, gratuity, drinks/lunch. Fishing guides are classified as independent contractors and are employed by the renter/guest. Gene's Resort is retained by the renter/guest as the booking and collecting agents. Gene's will satisfy the guide's requested fee. A deposit is required for guided trips. Cancellations of any guided trip must be made within two weeks. Full customary charges will apply to "No Shows" or "Late Cancellations" as guides require full payment when booked. To keep trout from any Arkansas State waters or to fish in the North Fork or White Rivers, you must possess a Trout Permit. Trout permits are good for one year from the date of purchase. So there is no misunderstanding, please read our Cancellation Notice Policy. PETS ARE LIMITED TO A MAXIMUM WEIGHT OF 75 POUNDS OR LESS ! Pet charge is $35 per pet under 35 pounds and $75.00 per pet 36 pounds to 75 pounds. Maximum limit of two pets per authorized cabin please. Gene's Resort loves pets and we "relaxed" these pet policies for 2014. We ALL must have respect for those whom may otherwise be sensitive to and/or intimidated by larger animals/pets. Your pet is NOT allowed to run free, swim in the river or lake, or otherwise frolic in the dirt, mud, or riverbank. Please do not have your pet sleep or stay with you in any of our beds, futons, or couches. Your pet must always be leashed and with the owner when outdoors. You will be responsible for cleaning up after your pets "duty". Please do not allow your pet to urinate on our gardens/plant areas. Please honestly and respectfully adhere to these "Pet Policies" for the safety and comfort of others. Your cooperation will allow these "relaxed" policies to extend into the future. So there are no misunderstandings in our Cancellations Policies, please read and familiarize yourself with these important issues. These policies are made to be fair to all our dedicated and loyal customers, Gene's Resort, our employees, and our independent contractors and/or guides. When you make and/or confirm your reservation/s, your credit card number (Visa - MasterCard - American Express or Discover) must be obtained to guarantee and secure your total reservations. No charges to your credit card will be made at the time of your initial reservations. Gene's Resort requests that your payment be made by cash or personal checks. If you must use your credit card, no problem and no additiional fees. - Must receive cancellation prior to 60 days of your reservation date for a full refund. - 60-30 days cancellation notice will result in a 50% charge to your total reservations. - 29-15 days cancellation notice will result in a 75% charge to your total reservations. - 14-1 days cancellation notice will result in a 100% charge to your total reservations. - Must receive cancellation prior to 14 days of your reservation date for a full refund. - 14-8 days cancellation notice will result in a 50% charge to your total reservations. - 7-4 days cancellation notice will result in a 75% charge to your total reservations. - 3-1 days cancellation will result in a 100% charge to your total reservations. "No SHOW" (failure to arrive without cancelling reservations) will result in a full charge (100%) of ALL reserved accommodations, equipment and/or services. - When making initial reservation/s, please insist on receiving a Reservation-Confirmation Notice Number. - If you cancel your reservation/s, please insist on receiving a Cancellation-Confirmation Notice Number. This is for your protection. Thank-you for your understanding. Our Cancellation Policy applies to all reservations regardless of any inclement weather, river/water conditions, family emergencies, and/or early departure from our resort. Please understand our position and fairness to all our customers. If Gene's Resort is able to rent ANY of your canceled accommodations, equipment, and/or services, no charges to your account will be made to each respective booked reservation. Genes Resort is only concerned with recovering booked reservations and NOT a financial loss. Thank you for your complete understanding in this important matter. Reservations can be made between 7:00 am and 7:00 pm central time 7 days a week.